Brunch and a Book with Susan Dworkin (in conversation with Yona Zeldis McDonough) at The Old Stone House, a history museum and garden in the heart of Park Slope. Join Susan for a fun, chatty lox and bagels brunch with unlimited mimosas. Susan will read from The Garden Lady. Yona McDonough, fiction editor of Lilith, will interview her. Comedian Katie Halper will host. F train to 4th Avenue, R train to Union Street. Born and raised on the mean streets of New York City's Upper West Side, Katie Halper is a comic, writer, blogger, satirist and filmmaker based in New York. Katie graduated from The Dalton School (where she teaches history) and Wesleyan University (where she learned that labels are for jars.) A director of Living Liberally and co-founder/performer in Laughing Liberally, Katie has performed at Town Hall, Symphony Space, The Culture Project, D.C. Comedy Festival, all five Netroots Nations, and The Nation Magazine Cruise, where she made Howard Dean laugh! and has appeared with Lizz Winstead, Markos Moulitsas, The Yes Men, Cynthia Nixon and Jim Hightower. Her writing and videos have appeared in The New York Times, Comedy Central, The Nation Magazine, Gawker, Nerve, Jezebel, the Huffington Post, Alternet and Katie has been featured in/on NY Magazine, LA Times, In These Times, Gawker,Jezebel, MSNBC, Air America, GritTV, the Alan Colmes Show, Sirius radio (which hung up on her once) and the National Review, which called Katie "cute and some what brainy." Yona Zeldis McDonough grew up in Brooklyn, New York, where she had early dreams of becoming a ballerina, but she changed from this when she went to college. She attended Vassar College and studied literature, language, and art history. After realizing that the graduate program at Columbia University was not making her happy, she finished the year out and began freelance writing in every possible place, newspapers, book reviews, brochures, until she gained some traction and notability when she could publish works that she had began in her time at Columbia. Her books include THE FOUR TEMPERAMENTS and IN DAHLIA'S WAKE---and her third novel, BREAKING THE BANK. She presently lives in Brooklyn, NY with her husband and her two children and two small, yappy dogs. 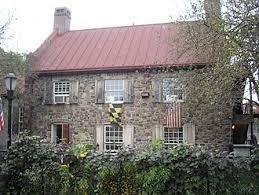 The Old Stone House is part of the historic House Trust of New York City, and is listed on the National Register of Historic Places. Serving as the conservancy organization for the park, OSH&WP has overseen $9.5 million in park renovations, provides education programming for 7,000 students annually, and fosters a welcoming space for more than 200 individual artists, small and medium sized arts organizations and family events each year. It is the site of the first battle of the American Revolutionary War. Personally, I think this world could use a little more agricultural science fiction, to get people thinking, rather than the ongoing and repetitive punditry that we all grow weary of. Kudos to the author..."
Listen to an excerpt of Susan's interview with Jeremy Cherfas. "Dworkin crafts an intelligent and deeply pertinent ecological thriller that reads as disturbingly possible. Damage to the environment and weather changes are a recognisable fact right now; horrific, grinding wars that spell an end of times feel very close to hand as Eastern Europe and the Middle East explode in bloody violence day after day in our news reports. Globally, the beginnings of her corporate-controlled gene giants are already in place, making headlines for commodifying seed supply. Frighteningly, apparently 82% of the commercial seed market is already controlled by these businesses (ETC Group, 2008). Like the predictions of Orwell’s 1984—state control of individual freedoms and information, close monitoring of public activity—Dworkin is writing a future that could very well be on the cards. The power of good speculative fiction is to bring uncomfortable truths to light. It can warn, examine, and to educate the reader. And in the tradition of such parables, we are offered a glimmer of hope—a different way of behaving..."
Susan discusses the work of Danish scientist Bent Skovmand, who amassed, multiplied, and documented thousands of wheat varieties and was instrumental in creating the world’s seed banks. Her book THE VIKING IN THE WHEAT FIELD: A SCIENTIST'S STRUGGLE TO PROTECT THE WORLD'S WHEAT HARVEST examines the often overlooked topic of how crucial the world’s dependence on wheat seeds is, and how these "genetic resources" should be saved and protected, especially as climate change is creating new agricultural stresses around the globe. Host Jeff Young interviews Susan about THE VIKING IN THE WHEAT FIELD and why we must protect the diversity of wheat plants. The Lee Library is very pleased to welcome back local author Susan Dworkin who will read from her recently re-published novel STOLEN GOODS. FREE to all. Q&A, book signing and of course cookies follow. Susan Dworkin will available to discuss and sign the New York Times Best Seller she wrote with Edith Hahn Beer The Nazi Officer's Wife: How One Jewish Woman Survived the Holocaust. Susan Dworkin will discuss and sign the book she wrote with Edith Hahn Beer The Nazi Officer's Wife: How One Jewish Woman Survived the Holocaust. For more information, please visit the Barnes & Noble website. Books & Beyond program. Susan Dworkin will discuss and sign the book she wrote with Edith Hahn Beer The Nazi Officer's Wife: How One Jewish Woman Survived the Holocaust. Co-sponsored with the Hebrew Language Table. For more information, please visit the Library of Congress website. 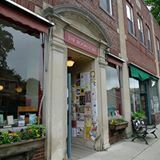 The Festival Book Expo offers a special opportunity to mingle and talk with outstanding authors publishing companies, writing programs, and booksellers in the Berkshire region, along with other related businesses and vendors. 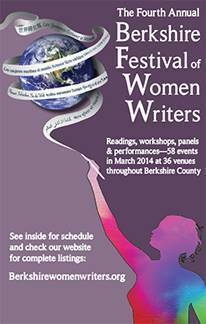 For more information, please visit the Book Expo website. Susan will be reading from and discussing The Nazi Officer's Wife: How One Jewish Woman Survived the Holocaust. For more information, please visit the Temple Emeth website. For more information, please visit: Laguna Beach Books. As a guest lecturer for graduate students of agriculture, Susan will discuss ways to close the communication gap between scientists and the general public. This lecture covered some of the important changes that will affect staple foods as a result of climate change, including the potential extinction of some varieties (e.g. bananas), the genetic modification of some foods to help them resist drought, salty water and fierce new storms (e.g. rice), as well as the role of seed banks in preserving "original" varieties in case climate emergencies make it necessary to restore a lost crop. For more information, please visit: United States Botanic Garden. Susan read from, talked about and signed copies of her newest novel, The Commons. For more information, please visit: The Bookstore. Susan read from and talked about her newest novel, The Commons. Book signing followed. This free event was part of the adult Summer Reading Program and was open to the general public. For more information, please visit: The Lee Library. For more information, please visit: The Present Day Club. "Susan made a subject I thought I would never understand -- agricultural politics -- clear, fascinating, even funny!" "She left us with two big questions that we must collectively answer. Who will guard us against hunger and preserve nature's diversity? Who owns and controls plant genetic resources?" "Susan Dworkin's description of Edith Hahn Beer, a Jewish woman hiding in plain sight on the German home front, was absolutely riveting."